Want to step through your days in a happy way? Keep it moving. Science affirms the link between happiness and regular physical activity. 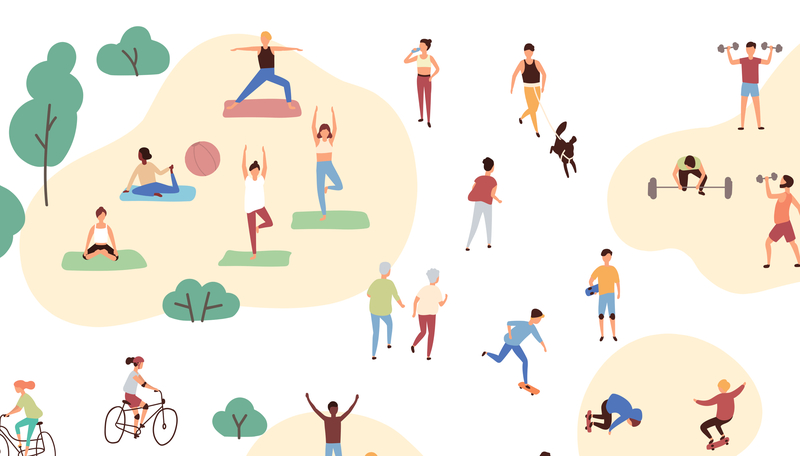 In a recent study of 1.2 million Americans, researchers found that people who exercised had 43 percent fewer days of poor mental health in the past month than those who did not. In 2017, researchers at the University of Cambridge created an app to examine the connection. Users in the UK study said they felt happier when they’d moved in the past quarter-hour than if they’d been sitting or lounging. Great news for sluggish types—even non-exercise activity, like standing or fidgeting, was found to improve mental health! Sammi Chekroud et al., “Association Between Physical Exercise and Mental Health in 1.2 Million Individuals in the USA Between 2011 and 2015: A Cross-sectional Study,” The Lancet, August 8, 2018. Neal Lathia et al., “Happier People Live More Active Lives: Using Smartphones to Link Happiness and Physical Activity,” PLoS ONE 12 (2017). Gretchen Reynolds, “Get up and move. It may make you happier” The New York Times, January 25, 2017.